W300D is an IEEE802.11n-compliant device that combines the function of high speed ADSL Modem, wireless router and 4-Port switch. It delivers up to 300Mbps wireless transmission rate and coverage, eight times of that of an ordinary wireless G device. Meanwhile, you can create a wireless network to connect it with 802.11g and 802.11b devices due to its backward compatibility. 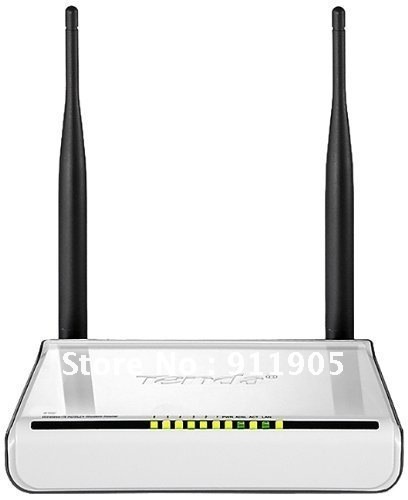 W300D also supports the latest ADSL2/2+ standards to provide higher performance (up to 24Mbps downstream and 3.5Mbps upstream) and longer reach from your Internet Service Provider (Digital Subscriber Line Access Multiplexer (DSLAM).With support for TR069, automatically updates the firmware and other settings when they become available from your ISP. This model has different versions,for firmware, some can upgrate into English,but some only Chinese,but the setup is easy, we can teach you step by step,please understand,if you have any demands or questions ,please do not hesitate to contact us,we are happy to serve you..